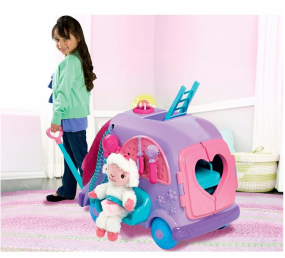 Doc McStuffins is the name of an animated children's television series found on the Disney Channel as well as Disney Junior. The series follows the exploits of a young girl that can heal toys. Her stuffed animal friends help her, and each episode is filled with fun songs and valuable lessons for young children. When Dottie "Doc" McStuffins wears her stethoscope in the series, toys and dolls come to life. She can communicate with them, but sometimes needs to travel to where they are to help fix them. 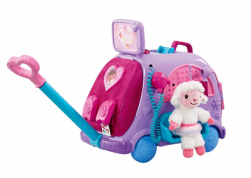 That is where the Doc McStuffins Get Better Talking Mobile Cart comes into play, so let's take it for a spin.